Do we Stay the Course with Ramsey, Flamini, Oxlade-Chamberlain, Wilshere, Arteta and long-term absentees Cazorla and Coquelin? Kids in the reserves include Glen Kamara, Krystian Bielek. On loan there’s Isaac Hayden. Who am I missing? Then there are all those who could be moved from their traditional positions: Chambers, Gibbs and Debuchy or Gabriel. Two posts in a few hours… You is on fire! Would love us to try Gibs or Nacho, or Gabriel as DM, but also don’t mind us buying a new one. Shame Schneiderlin opted for the Mancs last season. Indeed, Rainieri vs Mourinho should be a good one… I watched a lot of the match vs Bournemouth and it’s hard to explain why they’ve got so much trouble finding the net. Hazard & Willian looked very bright… Cesc cuts a very frustrated figure but not quite as ugly as his (Brazilian-born) countryman, Diego C.
I will answer to your question from the previous post and to this one with just one answer: I would like to see a stop-gap addition with enough pace for…how did you call it before…recoverability. Flamini doesn’t have it and that means Mertesacker’s pace also becomes a problem as our soft center gets exploited by opponents like Sunderland, especially when Giroud is our main striker as he can’t put the opponents on the back foot like Theo can. We are yet to keep a clean sheet without Le Coq in the league and we face more chances from which opponents are expected to score these days. Hopefully Arsene won’t repeat his horrendous transfer policy from January 2014. I would also add that all our three defeats started with a goal conceded after indirect free-kick (Kouyate, Zouma, Morrison) and that we have conceded six own goals in all competitions. Thanks to Cech, that number is not higher. Oh, one more thing: you can’t call it a hindsight if someone blames Wenger for not getting Coq’s cover. I had written about how we need another defensive midfielder before the transfer window was closed. Coquelin got injured three months later. A lovely post and a truly strange season indeed. As a supporter, I’ve never felt so conflicted as there are some gaping, cringe-worthy holes in our system yet we’re continuing to see some favorable results. In fairness I think our fortunes thus far have a lot less to do with Arsenal’s achievements this season but really just how crazy of a Premier League we are witnessing. From an general fan’s perspective, it is just delightful and really welcome in an era of increasing predictability. 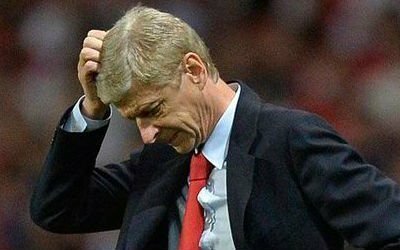 Unfortunately for us Arsenal supporters we may be witnessing our best chance (by some distance) at the title slip away due to the same ol’ embarrassingly familiar issues. Like clockwork the squad is already down to its bare bones and we haven’t even made it to January yet. I’m not trying to doom too hard here but with our preferred midfield options completely obliterated and so many first-team players approaching the red-zone it is a bit laughable. If ya don’t laugh ya cry, right? I guess the big silver lining here is that we’re somehow in second and Ozil has finally shown some consistent brilliance. A while back–during the world cup i think it was– I mentioned how he was going through something of an identity crisis and I’m really just so pleased he’s found his confidence again. What a player. With that said I still have a good feeling about our chances. It has been such an up and down season that I’m feeling pretty relaxed and not too much can surprise me at this point. Obviously a lot will depend on what happens in January, not just in terms of transfers but also where the players coming back from injury stand. It’ll be great to see Welbz busting a lung again. I’m less optimistic about Jack but ya never know. Certainly the DM issue should be addressed and I’m interested to hear who you guys think could do the job for us. Honestly I think Wenger won’t be too concerned with finding a replacement for Coquelin as much as he will be in searching for Cazorla’s successor… And with rumors of Isco’s unrest in Madrid, i think Wenger might have the perfect replacement. A guy can dream! My guess is that the manager preferred to keep him rather than spending what it would take to find a replacement. The analysis is that he had already decided to give Coquelin a decent contract AND the chance to play and fight for an even better one. Flamini and Arteta are on much higher money so we would have moved them on only to clear up salary room, but then would have to commit to a player for a much longer period. Even if we had moved one of them (Flamini) that’s only a little more than half a season of what ManU are paying Schneiderlin, for example, not to mention the 24-27 million pounds we would have had to pay So’ton to get him. In truth, I believe AW has a long term vision for Ramsey and Wilshere (playing with Ozil and/or Santi) in the center of MF. That’s how we began the 2014-15 season after all (except that Ozil was ‘disasterously’ shunted to the left…) Coquelin just happened to be in the right place at the right time AND (like Santi) was good enough (and flexible enough) to work from a deeper position. Wow.. 2 posts when i was asleep. Nice one 17ht, you really know how to drum up the hit rate and make some of the less frequent commenters join in the fun. Wanyama is one of my choice to the CDM role. Even Pires has said that, so nothing much to be surprised about. Internally, i have mentioned Gibbsy, so yes, not from the outside, but within our squad. I think we have enough midfielders to last us for a decade, so, more strikers and no mids. For the striker role, i reckon someone older, from the high scoring league of Spain is ok for us. My target is bringing up the young ones which are currently on loan to be the main strikers, but as they need time, we will do for the time being with older strikers that have a couple more years left in their football career. Something is weird. Did the lower teams suddenly get some boost to beat the top teams or is it just another topsy turvy league which will eventually straighten in the second half? I would rather think the latter. No doubt on the similarities between Jack and Isco, certainly the type of player we could use right now. Not necessarily in the sacred “DM” role but I will say Isco does a lot more defensive work than he gets credit for. I suppose my only contention is that they are on two very different paths… One is already impressing for Real Madrid while the other hasn’t played a full season since 2011. Agreed that Wenger’s waiting for another Alexis or Ozil “bargain” but when was the last time one of those came around in January? Okay, you could argue Monreal or Gabriel to a lesser extent and I believe this is the quality of player we will end up with IF we make a signing. Nods to NJK re Wanyama. I was in favor of picking him up a few summers back but I think that ship has sailed and he really hasn’t overly impressed me in 2 seasons at Southampton. I believe the Pires comments had more to do with what continent he was on than his preferred midfield signing. Who knows though! What are your guys thoughts on the power couple at Leicester? How much do you think those two would go for? I’m guessing they’ll stick around past January but certainly one, if not both, will be very well gone before the 2016-17 season kicks off. Interesting post. Nearly as short as a Japaneese haiku. The loss of the CoCa pair for the long term demands more than the plugging in of new bodies to replace the pair. I think internal and dream external, I mean the solution. For now I will do only thinking. No dreams. 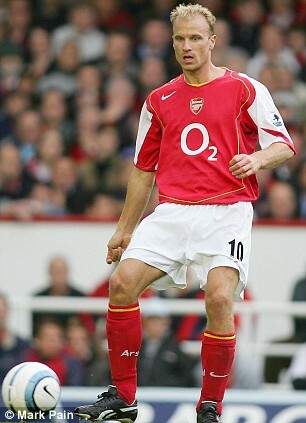 It is all settled that Ramsey replaces Carzola. Ramsey can’t help foraging for the ball and for goals. Therefore he must leave gaps in a dangerous area of the field. The forages have their benefits, the gaps their costs. Wenger’s task is how to bag the benefits and find a way to nullify the costs. To nullify or reduce the the dangers posed by those gaps, we have to begin to play a high defensive line and that should mean Gabiel taking over from Mertersacker. Mert is by far, our best CD creative passer of the ball. Compensating for this loss in our creative use of the ball from the defense should be a factor to be considered in the choice of our DM. For our DM therefore, we need a good passer of the ball, who is very tactically aware guaranteeing positional discipline that compensates for Ramsey’s unquenchable thirst to be where the ball is. Also, he has to be a very good defender. In our 25 man squad he that ticks all these boxes is NACHO MONREAL. Nacho has an unobtrusive play personality. All things put together he is in the top pile of our players. In this moment of injury crises, he needs a more influential role. Luckily there is an able replacement for his left back position, Gibbs. Flamini is everywhere and wants to do everything. On an individual bases he might have a good game, yet the team suffers. Our midfield is full of attack minded players lacking defensive nous. We need the rear of that MF manned by somebody sufficiently tilted in the other direction. NACHO. Carzola is like the first note in our counter attacking melody. Get the first note wrong and the music goes flat. Apart from that, the high defensive line which I suggested above negates counter attacking play. What it means is that our main stay is again slow horizontal build up, hoarding the ball. Patiently waiting for openings for the runs and the late runs (Theo and Ramsey). In the quick transition there isn’t much of a place for OG. In the patient build up OG’s indisputable quality as a focal point becomes invaluable. Walcott and OG on the field together? Yes, yes,yes until Sanchez comes back, and one of them goes off. What happens to be the weak point in our emphasizing possession football at the moment is that we need at the least three very technical ball players in our attacking areas. At the moment we have only Ozil and Ramsey. Not Ox, he is bee line. Not Theo and am not yet convinced of Campbell in that respect. Any of Rosicky, Welbeck, Wilshire, Zelalem not to talk of the incomparable Santi, would have completed the trinity. Maybe a few more weeks we will be there. In the meantime we need to hang on. . . . and we will. TA, I don’t see Alexis as a ball hoarding specialist. I see him as our stuntman, our risk taker. The combination of Ozil, Ramsey, Alexis and Nacho attacking together on the left is a pretty mouth-watering one for me. A very interesting post 17!!! There is what I think Arsenal should do and what I would like to see Arsenal do. In my opinion I think Arsenal should seek to procure a proven Premier League CDM like Cabaye, M’Vila, Kante to provide immediate competition for Coquelin. I think if Arsenal genuinely want to compete with the likes of Man City on a regular basis Arsenal need to secure the best 22 of proven Premier League players that fit into Arsenal’s system of play. That said, the football romantic in me would love to see Arsene focus on procuring and developing the best young British talent and genuinely giving them he opportunity to grow and develop together. That means giving the likes of Jenkinson, Chambers, Hayden, Gibbs, Wilshere, Crowley, Ramsey, Ox, Maitland-Niles, Walcott, Willocks, Hinds regular first team opportunities and trying to purchase the likes of Butland, Clyne, Stones, Barkley, Lallana, Zaha, Shelvey, Afobe, etc.